Regular performers at Northwich Folk Club, Ailsa is well known for her fine, pure and expressive voice, while John accompanies her on guitar - and Ailsa lets him sing too. 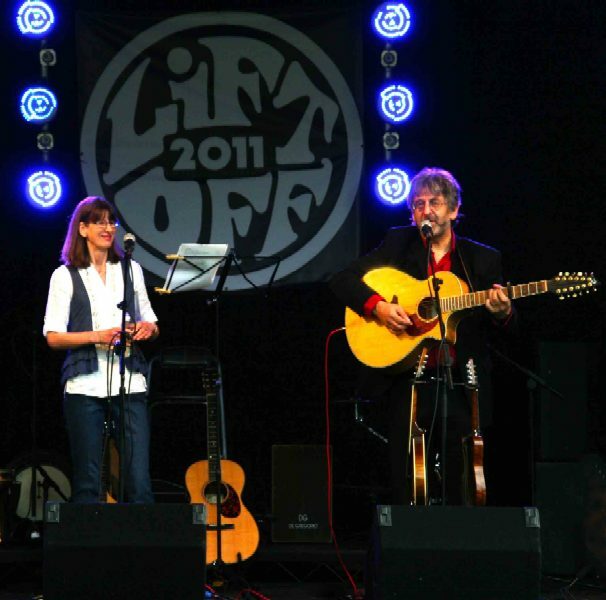 Their songs range from much loved traditional English and Scottish, through contemporary songs by composers as diverse as Nanci Griffith and Pete Morton, to originals written by John. Fifteen of their songs are available on our first recording: "About Time"
As well as being involved in the running of Northwich Folk Club, over the last few years they have also made appearances at Acton Bridge, Poynton and Middlewich festivals as well as performing in the community project The Marbury Mysteries (for which John wrote the original music) and Moulton Drama Group's production of the musical Smike!